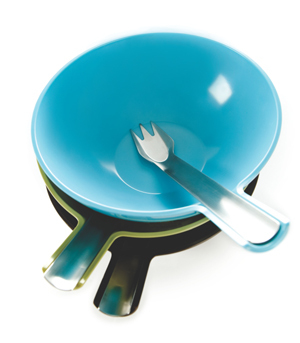 Salad Bowl and Fork Set has been designed so that you can hold them both in one hand. The stainless steel fork will rest in the handle of the bowl; leaving you a free hand to hold your glass. The new curved yet flat design of the fork allows you to easily scoop the last ingredients from your bowl and the sharpness of the fork allows you to spear the roundest of cherry tomatoes or the toughest steak, with ease. Designed by Ineke Hans for Royal VKB, the Salad Bowl & Fork Set is perfect for eating a quick an healthy salad whilst chilling on your sofa or for dining alfresco. It’s excellent for serving salads, pasta and rice. The lightweight easy to carry melamine bowl and stainless steel fork are both dishwasher safe. It comes as a set of two bowls and forks. 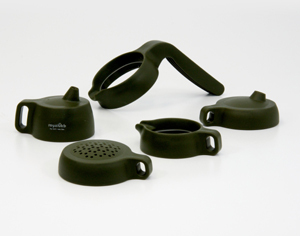 Jar Tops enable you to transform your empty jars into multi-functional kitchen tools. This inspirational design by Jorre van Ast consists of five different screw on lids: a cocoa shaker cap, sugar shaker, water jug, milk jug and oil and vinegar pourer. Now you can re-use those beautiful and interesting shaped jars, instantly turning them into functional kichenware simply by screwing on the Jar Top of your choice. Key Pete is a magnetic key holder. 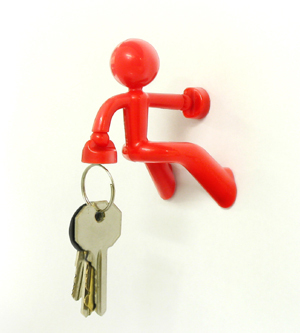 It is the perfect accessory if you often misplace your keys – or know someone who does. With extra strong magnets in his hands, Key Pete fixes himself to any metal surface. And with his other hand, will hold up to twenty keys for you. He also serves as an excellent office assistant where he can grasp any desk accessory containing a metallic component such as your scissors, stapler or paperclips. To use, place the squeeze bottle in the measuring cup and then fill the bottle with your favourite ingredients. 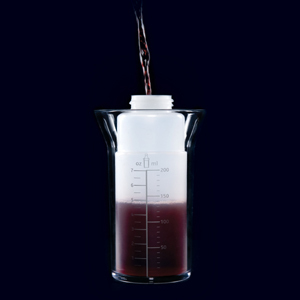 The scale on on the cup will enable you to add the correct amounts, and also acts as a secure cover around the bottle ensuring that all the ingredients go inside without making the cup intself dirty. In this way, it is instantly ready for making the next dressing, saving both time and washing up. Then seal with the sleek anthracite coloured lid and the bottle acts as a shaker to mix up your dressing. It can also be used to serve sauce or to garnish your dishes. The squeeze bottle is stylish enough to put on your table, and any left overs can easily be stored in the fridge. If you’ve ever struggled to carry a full tray of drinks without spilling or tipping them, you’ll love this inspired design. 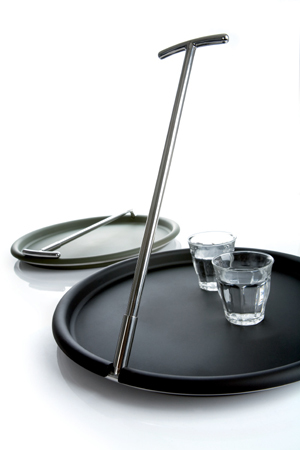 The Self Balancing Serving Tray by Gijs Bakker is self balancing and can be carried in one hand with ease, leaving the other free to open doors or serve drinks. And the non-slip coating on the surface means glasses and plates won’t slide around on it. It’s perfect for entertaining, parties, outdoor dining and barbecues. And when not in use, the handle can be folded down for easy storage.